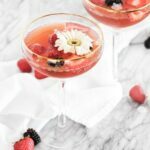 This berry brunch punch made with berries and sparkling wine is an easy, pretty pitcher cocktail that’s perfect to serve at brunch for a crowd! What’s brunch without a delicious cocktail? When I was pregnant, Mr. Table and I went to brunch several times – for Mother’s Day, Easter, just to hang out with friends. And while the food was good, all I really wanted was a fruity champagne cocktail. Instead, I had to settle for decaf coffee and maybe a glass of orange juice if I was feeling it. Now that baby has arrived, I’m super excited to be able to treat myself to a brunch cocktail again. And I’m starting with this berry brunch punch! 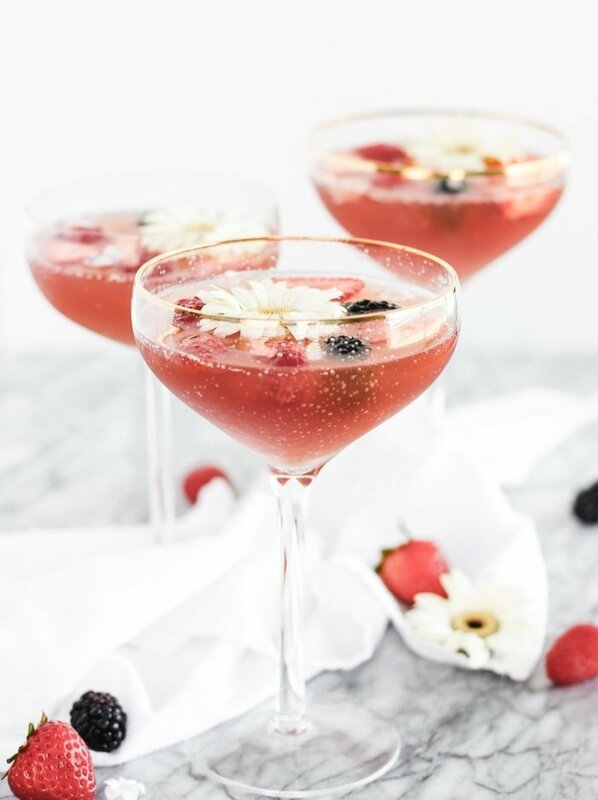 This berry brunch punch is everything you want in a brunch cocktail. It’s light and fruity with the optimal booze to juice ratio (that is, high.) but not so strong that you’re falling out of your chair before your eggs benedict arrive. 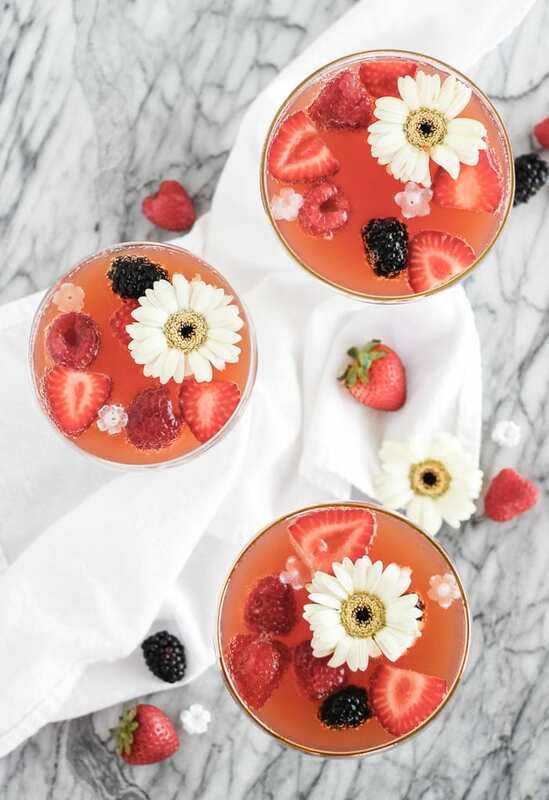 And in the true spirit of brunch, this berry brunch punch is a pitcher-style cocktail, so you can share with all of your friends! This brunch punch is super easy to make. 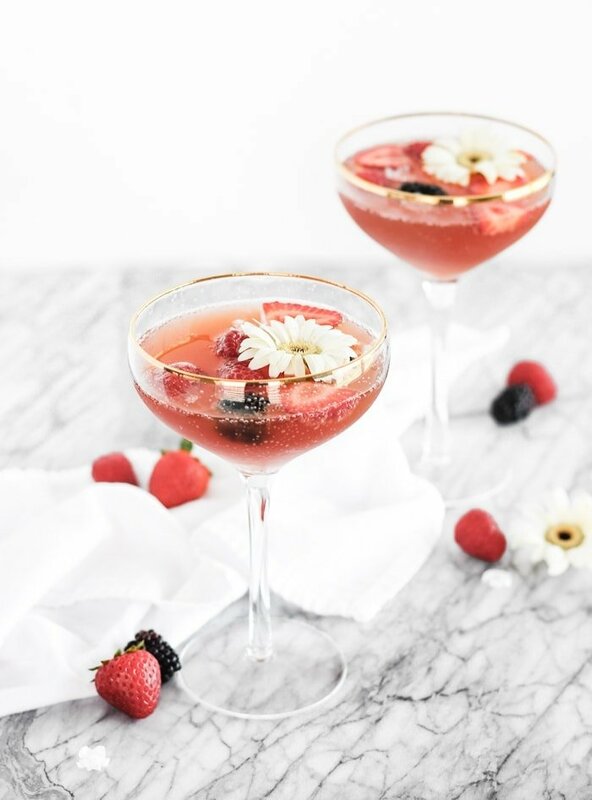 It’s just strawberry and raspberry puree (for a gorgeous color and light berry flavor), raspberry liqueur such as Chambord (or feel free to use peach schnapps), and sparkling wine (don’t open the good stuff – a $10-15 prosecco will do just fine). 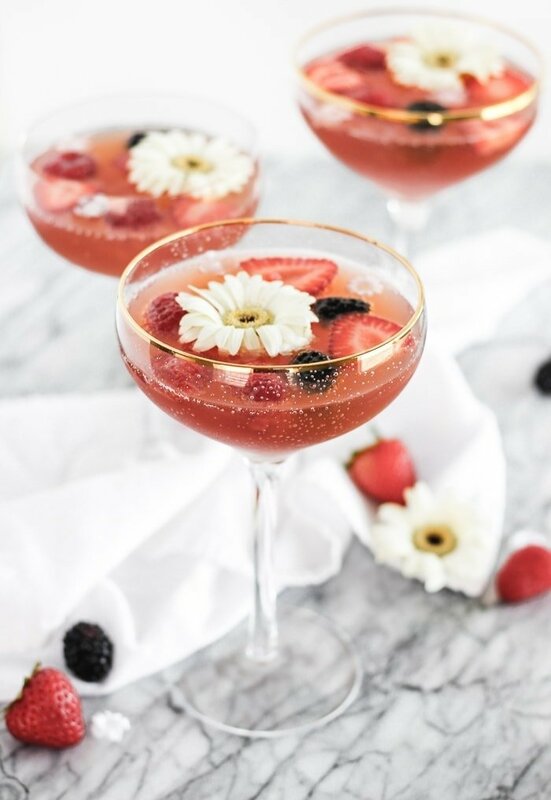 Then garnish to your heart’s content with tons of berries and edible flowers, or go as simple as you’d like and leave off the garnishes if you want. I love this light and delicious brunch punch for any occasion where you might want a festive drink early-ish in the day – family brunches, showers, Tuesday Sunday at noon. 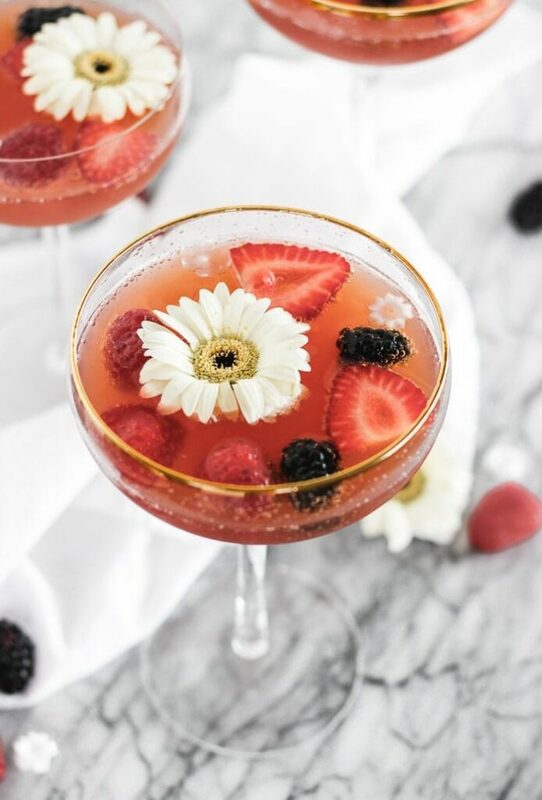 It’s a fun and pretty brunch cocktail that will become your new go-to! Cheers! In a blender or Nutribullet, puree raspberries and strawberries. You may strain to remove the seeds, or keep the seeds in the puree. I leave the seeds. In a pitcher, combine fruit puree with raspberry liqueur and sparkling wine. Serve chilled or over ice. Garnish with berries. The recipe can easily be doubled or tripled to serve more people.